Everyone wants to look the best on their wedding day. But, without choosing the right makeup artists this isn’t possible. Elixir Family Salon has the finest bridal makeup artists in Hyderabad at present. Our professionals are very good at covering the visible pimples and scars easily. Our bridal packages will not just enhance your looks but also make you look beautiful inside and out. We have high expertise in providing valued services to our esteemed clients till date and will continue to do it. We understand that women to look her best on her wedding day, she needs the best makeup artist who can help to make her look gorgeous. 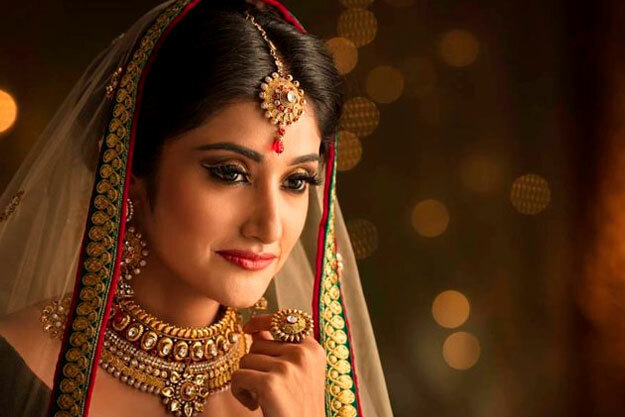 Elixir Stylists offers the best bridal packages in Kukatpally at present. Our makeup salon will enhance your look and make you feel awesome on your special occasion. We know that every bride deserves to feel beautiful and radiant on her special day and we can help you with it. Our makeup artists will always stay ahead of using latest and finest techniques in the industry to give the clients the best look they deserve. There are many reasons why you need to choose us as your beauty partner, because we are the best in the industry and can offer quality beauty services at reasonably low price range compared to our competitors. This is one of the reasons why people choose us. We are very different compared to others and will continue to help our clients for better and give them a unique personality they desire.